Marble is a coarse-grained metamorphic rock that can be many colors, including white, pink, yellow, brown, green or black. The original rock type was limestone. 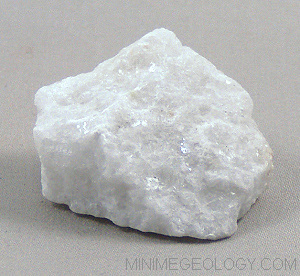 Because the parent rock, limestone, is composed of calcite, marble with also react to and dissolve in acids. White marble is a common material for statues.